Director Todd Haynes is receiving a bulk of praise after his film “Carol” debuted at Cannes earlier today to almost universal acclaim. There are currently 3 recorded reviews on Rotten Tomatoes for “Carol” one gives the film an “A” while another gives the film 5/5 stars. Outside of director Todd Haynes, Cate Blanchett and Rooney Mara have been receiving a good deal of accolades for their respective performances. Both are strong contenders for acting awards at the festival, but also strong early bird contenders for the Oscars. 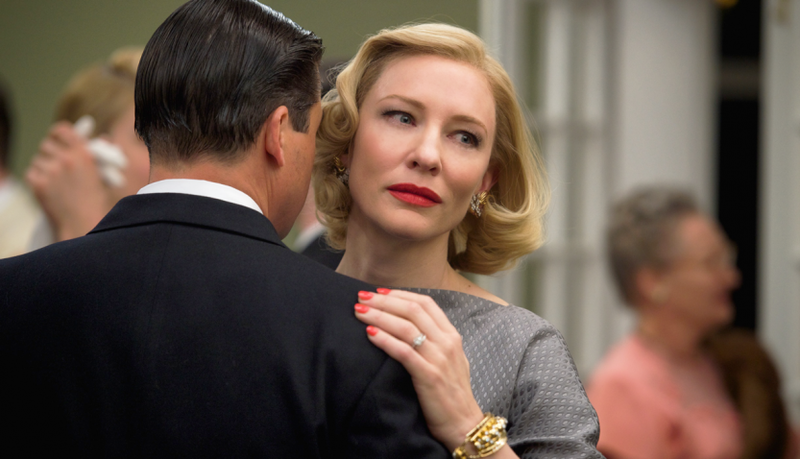 Regarding the Oscars, there is still a gray area in whether Mara or Blanchett will be pushed in Lead or Supporting. It is likely that The Weinstein Company will separate them, though both may end up qualifying as lead performances. For now, in our own predictions, we will hold Blanchett (likely the new front-runner) in the lead actress category while placing Mara in the Supporting Actress category. Our awards predictions will be updated shortly after the conclusion of the 2015 Cannes Film Festival.